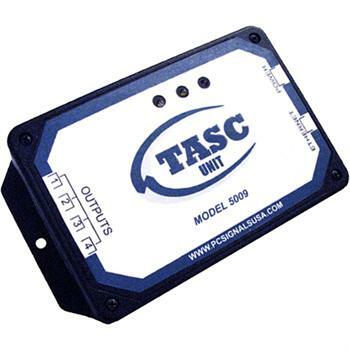 The TASC Unit from PC Signals USA is the most innovative, cost effective, and dynamic time and signal controller on the market. It's compact design and powerful built-in application make this unit a popular replacement for the older, over-sized, master clock units of days gone bye. Simply plug the TASC unit into an Ethernet connection and access the application within the unit via any web browser. Straight forward configuration allows for dynamic scheduling across up to 4 circuit relays. Run your wired synchronous system wall clocks with the same unit that rings your bells and/or horns. You can even utilize this unit to turn lights on and off. The TASC unit can be configured to receive time synchronizations from any server via Ethernet, thus allowing for time to be accurate to your local or specified NTP server's time. If remote installation is required, the TASC unit can ensure to maintain accurate time through its built in antenna to receive the WWVB signal from NIST (National Institute of Standards and Technology) which broadcasts time synchronization signals everyday via AM radio signals. PCSignals USA offers a one-year manufacturer's limited warranty. Warranty does not include consumable parts. With few exceptions, all are return to depot for service. User must pay for shipping to depot. Repaired products will be returned with shipping charges prepaid.